Shohei Juku Aikido dojo is located in Fukuoka Japan. Fukuoka is the largest city on the major island of Kyushu in western Japan. 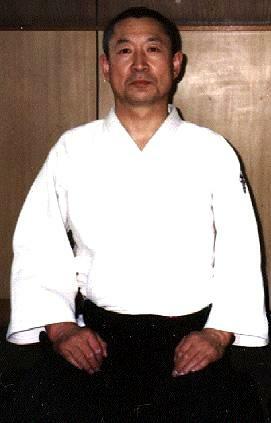 Shohei Juku is actually a group of over 70 dojos, all under the direction of Shihan Morito Suganuma. Suganuma sensei was sent to Fukuoka in 1970 by hombu dojo in Tokyo. Since that time, Suganuma sensei has opened a new dojo or Aikido group at an average rate of more than one every year. Suganuma sensei has at present approximately 4000 students, including many non-Japanese students. The term "Shohei Juku" was given to name Suganuma sensei's dojo group by Doshu Kisshomaru Ueshiba. The name was taken from Doshu and Osensei's first names: "Sho" from Kisshomaru and "hei" from Morihei. Despite its size, Shohei Juku is a very close, personal and family style dojo. Classes are scheduled frequently, and each has its own unique structure. Practice is always conducted in a logical, constructive and meaningful way. The atmosphere at the dojo is serious yet cheerful. Sempai (senior students) take their responsibility to pass on what they have learned with determination and dedication. The walls near the ceiling of Shohei Juku Takasago dojo are lined with the name plates of the members of the dojo. Shohei Juku Aikido derives much of its vitality from the presence of many senior students who, even after 20 years, still come to practice regularly.